Like most worlds The Behemoth has created, that of Game 4 is a little outrageous and more than a little deranged. 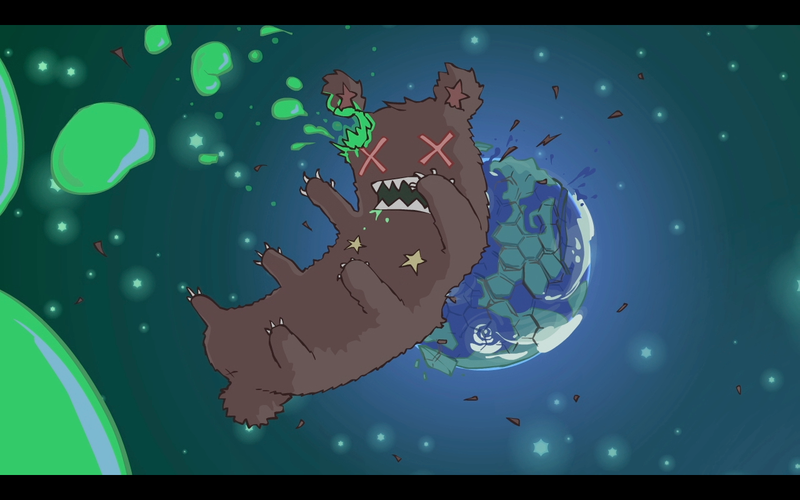 If you know anything at all about the studio’s fourth game, it’s probably that a gargantuan, six-limbed, space-faring bear has slammed into the planet and unleashed all manner of chaos. So comically massive is this Goro-like animal that it’s a wonder anything on the hapless planet it strikes survives the impact. But survive some inhabitants do; after all, it would be more than a bit tricky to build a turn-based strategy game without a plethora of units to conscript and command. Though the early section of Game 4 on display at PAX East is brief, we see or hear about units as varied as humans, trolls, robots and some sort of living cupcake creatures. Yeah, cupcakes. 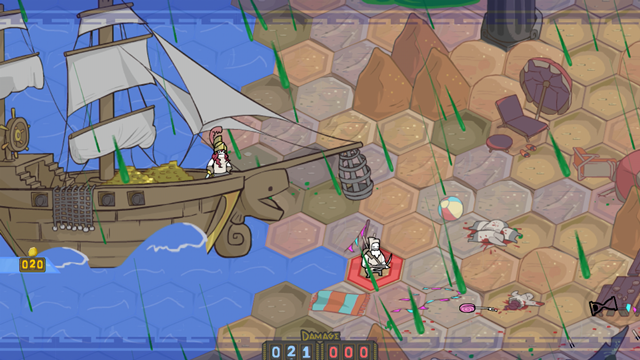 Playes are given control of Horatio, a simple blueberry farmer and father of one. The extravagantly mustachioed Horatio is forced to take up arms when a band of “Child Eaters” threatening to — what else? — eat his child show up alongside an unseen narrator hurling threats at him. Before you know it, green bear blood pours down from the sky and destroys Horatio’s house, killing his son in the process. It’s as dark as it sounds. At least, it would be if not for the fact that Game 4 is also utterly goofy. 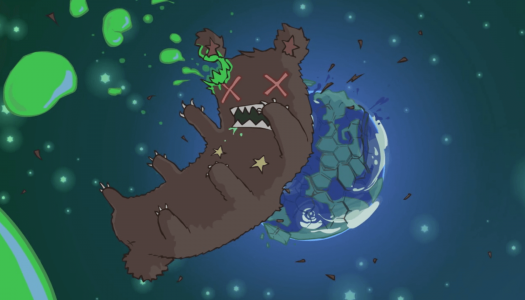 In a repeat performance from his turn in The Behemoth’s BattleBlock Theater, narrator Will Stamper uses his absurd, tangent-filled rants to bring the funnies while also making you question whether or not it’s appropriate to chuckle after witnessing a child being disintegrated by caustic alien bear blood. Of course, this sort of irreverence is nothing new for The Behemoth. Castle Crashers had poop-propelled deer mounts, a literal catfish that coughed up hairball projectiles and princess make-out sessions. Then there was BattleBlock Theater, for which the setup was a group of anthropomorphic cat overlords forcing shipwrecked sailors to perform in a deadly game show. Game 4 is clearly being made from the same mold. Dan Paladin has served as the main art director for all of The Behemoth’s games, and it shows. But you get the sense that even were Game 4 bereft of Paladin’s bright and charming visuals, you’d still pick up on the connection to the studio’s other games, despite the fact that they are all set in different genres. Production Coordinator Ian Moreno agrees that The Behemoth’s titles all carry a similar tone, but he’s not entirely sure how that happens. Or even whether or not it’s on purpose. “It’s very much…” he says before pausing a few seconds to search for the answer, “there’s an overall feel and vibe. 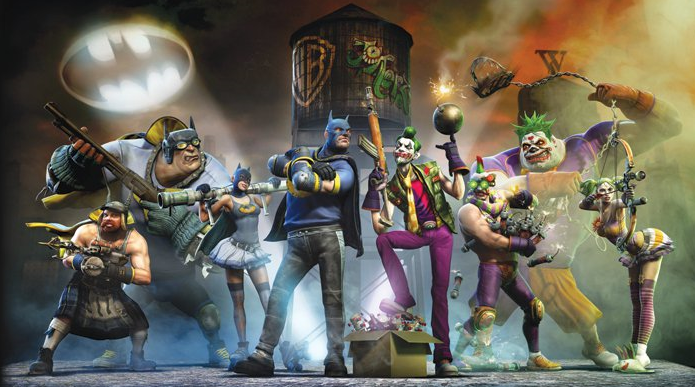 It’s not just a platformer or a shooter or a turn-based strategy [game]. There’s always more to it, and, yeah, that’s a really tough question. I think it’s just in our DNA, whether it’s the humor and the way we present things, we like to present things very differently. 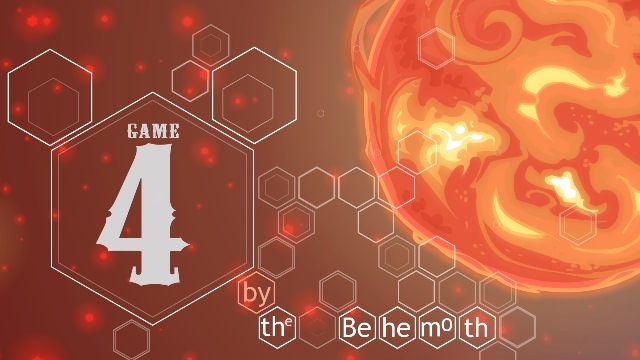 The Behemoth has revealed the first trailer for their fourth game, temporarily titled Game 4. 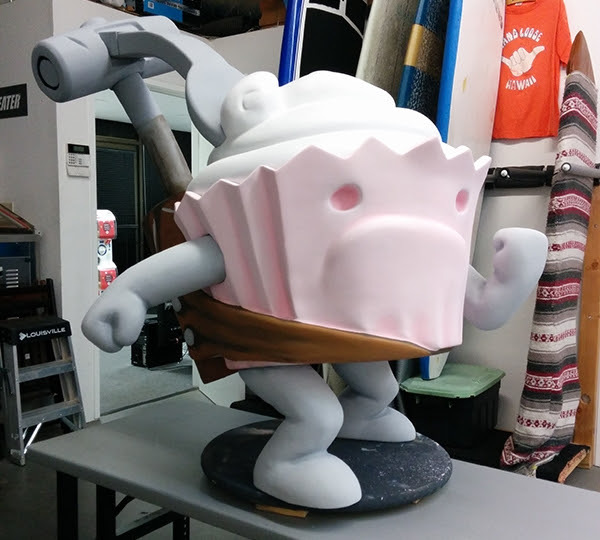 The studio’s previous works inclue Castle Crashers and BattleBlock Theater. You can see the trailer for Game 4 embedded below. The independent developer who brought XBLA gamers BattleBlock Theater, Alien Hominid and Castle Crashers has announced that, in addition to game development, it has two other ways it hopes will result in the best indie games possible making it “from conception to physical reality in the industry.” The Behemoth is now providing quality assurance and usability testing and what it describes as “no strings attached” funding for external indie developers. 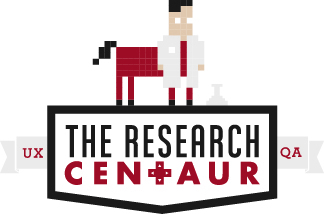 Its testing lab, which the Sand Diego developer previously talked to XBLA Fans about at PAX East 2013, has been dubbed The Research Centaur and is said to staff testers with an average of six and a half years worth of experience in game testing. When he spoke of the testing center last year, The Behemoth President John Baez told us that it started as a purely internal department. Things went so swimmingly when testing BattleBlock Theater, though, that the developer decided to begin offering its testing services to external indie studios. “I mean, one of the things we’ve done to kind of contribute to that [indie developer survivability] is we built a usability lab for Battleblock Theater, which has gone really, really well,” Baez said last year at PAX East. “It’s about a year old, and it’s only internal, and now we’ve opened it up. Well, there’s that and a QA department — very small, four people — but they’re very, very good at what they do. And now we’re beginning to open that up to other developers. So Bastion for all of iOS, we tested [it] and certified [it] to make sure that [Supergiant’s] game was good. Check out these sweet Black Friday/Cyber Monday XBLA sales! We know you’ve been waiting for them, and here they are! 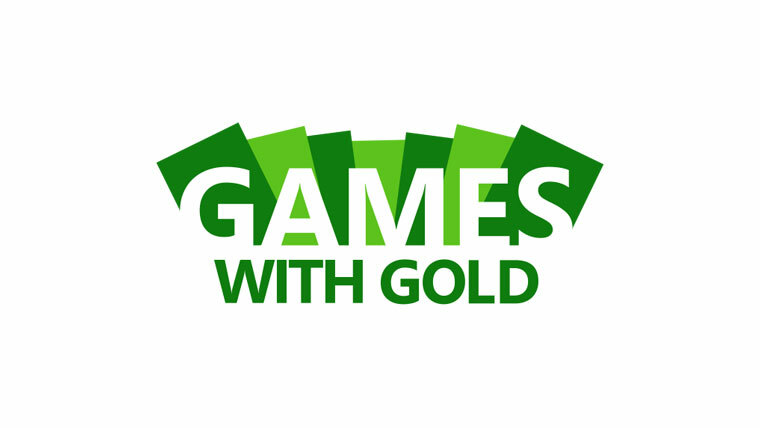 Black Friday sales for Xbox Live Arcade start now, and, assuming you don’t already own them, you will definitely want to take advantage of this opportunity to pick up some of the best games of the outgoing console generation on the cheap. Notable XBLA games include Mark of the Ninja, Bit.trip Runner 2, Far Cry 3: Blood Dragon and Battleblock Theater, most of which are at least 66 percent off! Some of these games will only be on sale for 24 hours, so check and double-check the tables below to plan your purchases. Happy Thanksgiving!